Heads up! This legislation has gone to a committee for debate and will soon come up for a vote in the House of Representatives! We must fight against this bill becoming law! The Senate has an almost identical bill which has gone to the Committee on Banking, Housing, and Urban Affairs for debate. South Carolina is poised to be the first state to pass legislation to adopt an Israel-centric definition for “anti-Semitism.” This will then apply to the state’s campuses, potentially limiting discussion of Israel-Palestine to one-sided information that fosters U.S. policies that provide Israel $10 million per day. The bill has been heralded in Israel as a “a landmark bill” that will lead change across the U.S. and the world. As South Carolina goes, so goes the nation. A bill that would criminalize boycotts against Israel has been signed by 45 US senators and 237 congressman. The so-called “Israel Anti-Boycott Act” would impose fines of up to $250,000 (£192,000) on any US citizen “engaged in interstate or foreign commerce” who supports a boycott of Israeli goods and services. The US has long defended Israel in territorial disputes in the Middle East, even as the Israeli military has expanded into areas assigned to the Palestinians by international law. In their new legislation, members of Congress claim the UN is considering a resolution to withhold assistance from – and prevent trade with – settlements in East Jerusalem, the West Bank, and the Golan Heights. The Israel Anti-Boycott act would punish any American who supported such measures. However, the American Civil Liberties Union (ACLU) has argued that the bill would “impose civil and criminal punishment on individuals solely because of their political beliefs about Israel and its policies”, in a letter sent to members of the Senate. Still, the bill – reportedly drafted with the help of the American Israel Public Affairs Committee (AIPAC) – has received widespread bipartisan support. Even liberal-leaning senators like Kirsten Gillibrand of New York and Maria Cantwell of Washington, and representatives like Adam Schiff of Massachusetts, have signed on to the legislation. Conservatives like Senators Ted Cruz of Texas and Marco Rubio of Florida also support it. When asked by The Intercept about this support, many legislators seemed unfamiliar with the details. Senator Claire McCaskill claimed she had not read the ACLU letter, but would “take their position into consideration, just like I take everybody’s position into consideration”. Meanwhile, Senator Benjamin Cardin – the bill’s primary sponsor – said that he “doesn’t think” the bill criminalizes participating in boycotts, as the ACLU has claimed. Perhaps the most shocking aspect is the punishment: Anyone guilty of violating the prohibitions will face a minimum civil penalty of $250,000 and a maximum criminal penalty of $1 million and 20 years in prison. 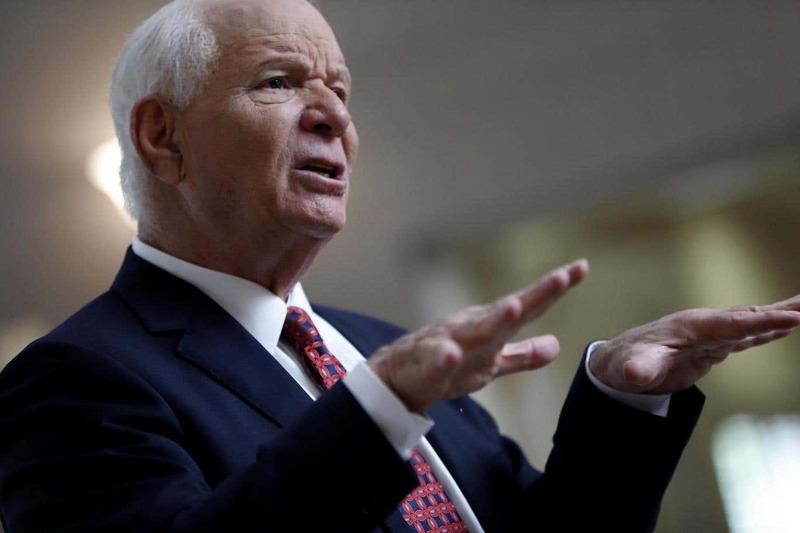 The proposed measure, called the Israel Anti-Boycott Act (S. 720), was introduced by Cardin on March 23. The Jewish Telegraphic Agency reports that the bill “was drafted with the assistance of the American Israel Public Affairs Committee.” Indeed, AIPAC, in its 2017 lobbying agenda, identified passage of this bill as one of its top lobbying priorities for the year. Fools in this country still don’t realize the enemy are the J. You can criticize your own gov’t but not I or J. Why bother having courts if you can’t question anything. And many J will find nothing wrong with the law. Many are fully supportive of it. Jsck*ss Republican Scott is the one that started this bill in SC.